Progressive Rock Guitar Technique will introduce you to the popular rhythm and lead techniques used by the world's best rock guitarists. 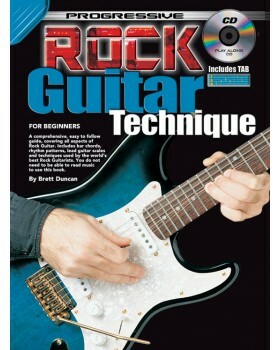 It will be helpful to already have a basic knowledge of guitar before you tackle the examples in this book. 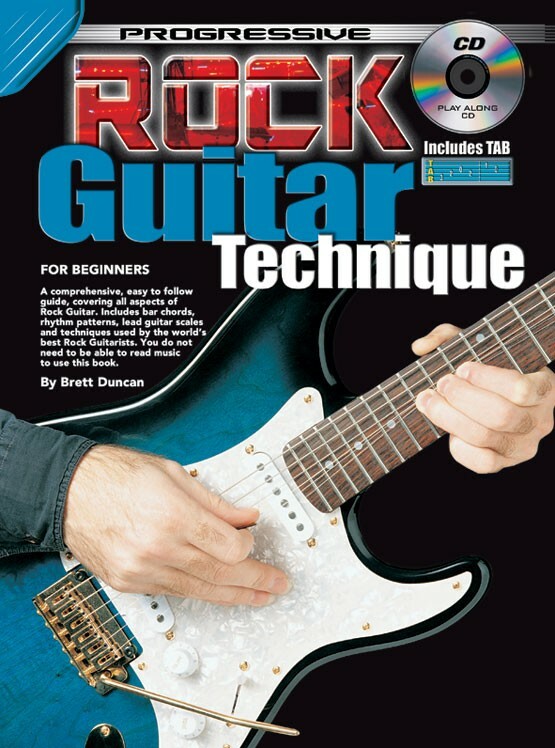 Progressive Rock Guitar Method is recommended as an introductory manual to this book. This book deals with the 2 main classifications of rock guitar, rhythm and lead. Topics include hammer-ons, pull-offs, slides and vibrato.